This is the second lesson in our “How To Blog Series”. 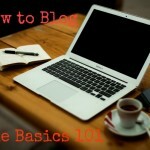 If you haven’t read “How To Blog Basics -1” please read that post first so what follows here will make more sense. The choosing and registering of a domain name is your next step. You’ve chosen a subject/niche and a name for your blog so now you need to decide on a domain name and register it. A domain name will be your address on the Internet. 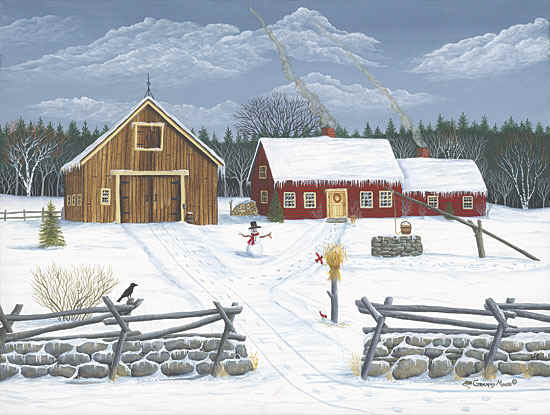 I had chosen The Wilderness Wife for my blog name and wanting to keep my domain as short and easy to remember I chose wildernesswife.com for my domain name. You’ll have to check and see if your chosen domain name is available and not already in use. I used Bluehost for that when I went to set up my hosting. They have a search engine and during the process of setting up your hosting they will register your domain name for free. Its a good deal! I have had hosting with a couple of different providers over the years with other sites but I have found that Bluehost is by far the more reliable. They give great support and it is very easy to integrate WordPress with their setup. In fact they will help you set it up if you need it but it is so easy you can do it yourself. You type your domain name in the Bluehost search engine and it will tell you if the name you want is available (someone else may have beaten you to it). If its available, grab it before someone else does. If its not, you might have to rethink things as I did with my one of my other websites, agiftofmaine.com. Some times you have to change your initial idea. 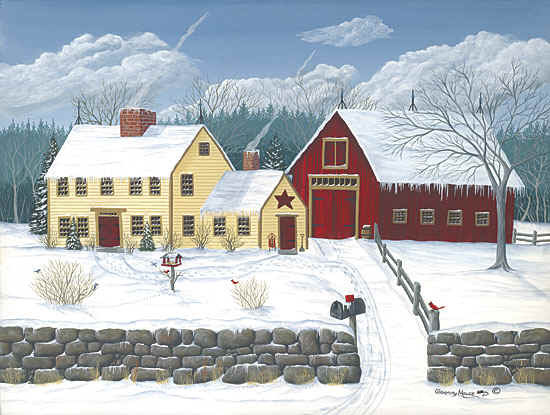 I have another site for my folk art paintings. 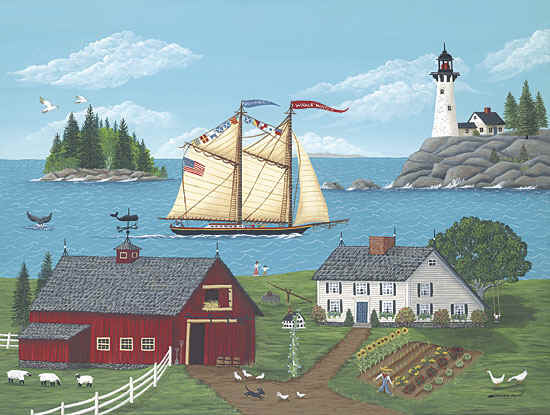 Originally I wanted to have the domain GiftofMaine.com but someone else owned it so I added the letter “a” to make it agiftofmaine.com. No one had that – simple solution to the problem! Those last three letters – .com, .net, .org – are called extensions. There are some people who will recommend that you register a number of extensions for your domain so that no one else can “steal” your traffic with a similar sounding name. I don’t worry about that and personally think it is a waste of money. The majority of potential visitors to your site are always going to think “.com” as it was the first extension used on the Internet and the one that everyone thinks of in relation to a site. Those words, “the .com era”, are ingrained in everyone’s psyche. So save yourself some money and just get a “.com”. You may have to adjust and rethink your site name as I did with Agiftofmaine, but always go for the .com extension. Once you have decided on a domain name, you will need to officially register it. The step after that is getting a hosting plan. If you choose Bluehost to host your site they will register your domain name for free during the process of your setting up your hosting plans. At this point I am going to advise you against opting for a free blog hosting setup from Google’s Blogger, and also advise against getting a free site from WordPress.com. Both Blogger and WordPress.com will limit your ability to monetize your site. They may be free but they are both extremely limiting. Yes, going for a free option is tempting but it will limit what you can do regarding monetizing your blog. If you want to do this as business you need to be able earn an income. Blogger and WordPress.com will severely limit you in regards to revenue. Eventually you will have to go to a self-hosted site to make any real income. The transition, particularly from Blogger to self-hosted WordPress, is difficult and you most likely will have to spend money for a professional to help you with it. Nothing worthwhile in life is free so save yourself some heartache and aggravation and go with self-host with WordPress.org from the beginning. To be able to develop all the types of income streams you will need to make your blog a financial success, having a self hosted WordPress site using WordPress.org is going to be your very best option. WordPress itself, the blogging platform, will be free but it has to be hosted on a paid hosting service of your choice. You have to make the commitment of time and some money if you sincerely want to do this for a living. So invest the funds to develop your blog into a business from the start. You’ll get the best deal with Bluehost by paying for a year in advance and going with the Starter Plan which is the most economical choice. It will meet all your needs in the beginning and if you need to you can easily modify it later when you need to expand. I have had Bluehost for over 6 years and they have been great and very helpful. It’s time to take the next and most important step. I have created a tutorial page where you can sign up for Bluehost, register your domain name, and install WordPress. You’ll be up and running in 30 minutes or less. Click on this link to go to our Start Your Blog with Bluehost and WordPress.